Hysterical Blindness, a 1980’s set HBO version of a Lifetime movie could have been nothing but hairspray and bad accents, but to every one’s credit involved, it’s a surprisingly nuanced, and touching portrayal of two party girls past their prime, standing guard at a local dive bar, waiting desperately for romance to change their Bayonne, New Jersey lives. 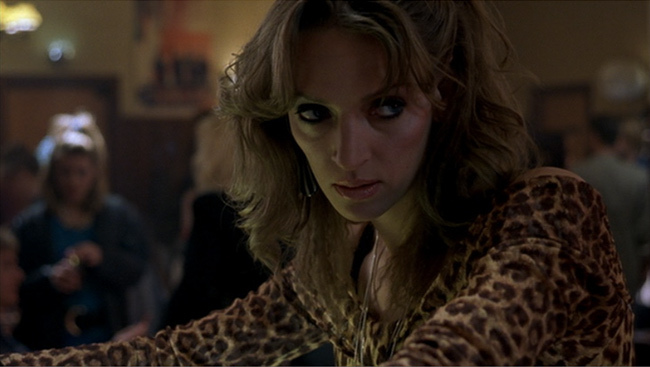 Uma Thurman is transforming as Debby, a character interestingly enough portrayed by the great Amy Ryan in the original 1997 Laura Cahill theatrical production. She contorts her exceptional beauty into a woman so needy and spastic that you wince as she awkwardly rockets around the screen between cigarettes, tears, freak outs and blow jobs. Juliette Lewis, Gena Rowlands, and Ben Gazzara all of whom are always, without exception, excellent round out the dream cast. While it all ends a little too much on the cute side, it’s nice to see these women, icons of ironic tackiness and stereotype get a little happiness, whether in the form of new living room furniture or front yard parties all summer. And speaking of ironic tackiness, there is much here for thrift store shopping hipsters to get excited about: Shredded heavy metal tees, acid washed paint on jeans, spandex mini skirts, and lots of cheap rings. I saw this when it first aired several years ago but recently felt the urge to revisit. I’m glad I did. When you’re playing the waiting game while pregnant, you’ve got to find things on a daily basis to get excited about. For me, the fact that Lifetime Movies Network was playing Gia, and that I had it taped was one exciting, alone time afternoon taken care of. The Angelina Jolie vehicle is the pinnacle of made for TV true stories and everyone is turned up to 11 with campy performances. 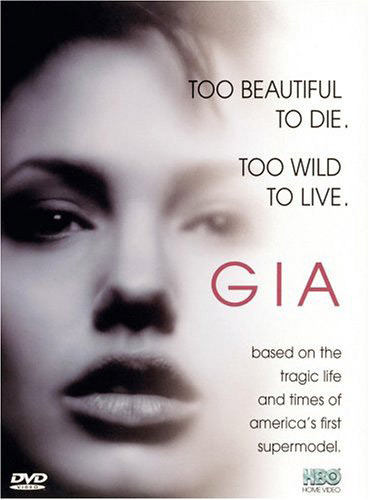 While the true story of Gia is quite tragic, she was one of the first casualties of AIDS, in HBO’s hands the lesson to not take drugs makes for entertaining TV. 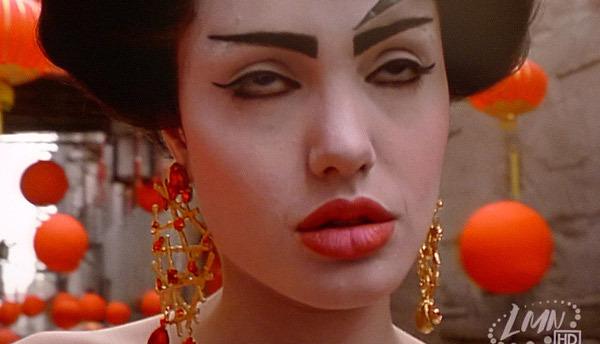 It’s definitely the most watchable thing Angelina’s been in. Campy gems like this only come along every once in a while. 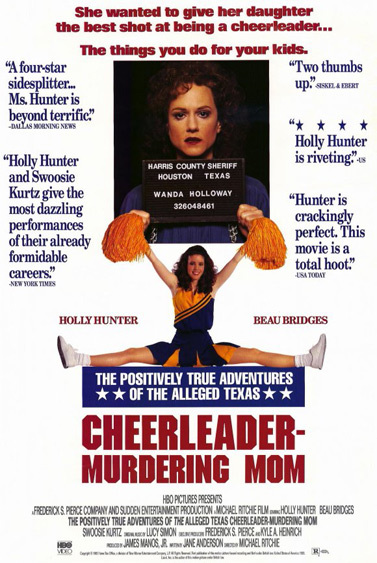 Tongue in cheek humor, true crime, American absurdity and a spectacular cast – of course The Positively True Adventures of the Alleged Texas Cheerleader-Murdering Mom made for TV movie is one of my all time favorites. Everyone seems to have forgotten how totally awesome Holly Hunter can me (seriously, why is she not cast in any of these hip quirky comedies of late – she’s the queen!!) and here she’s outstanding as the certifiably nuts true life criminal, Wanda Holloway, who attempted to pay her brother in law to kill her daughters cheerleading rival and rival’s mother. Beau Bridges and Swoosie Kurtz also stand out as the down on his luck brother in law and his insane wife. 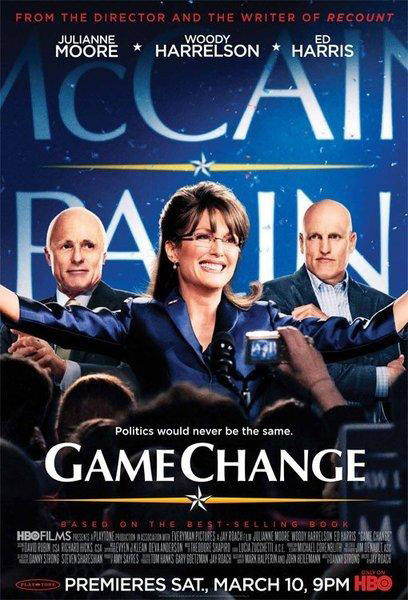 It originally aired on HBO in the early nineties but is available on DVD and worth putting to the top of your netflix queue.